He was born September 1, 1931 in Omaha to Leonard and Bessie (Yantz) Hammang. In 1940, the Hammang family moved to Fremont. Jerry graduated from Fremont High School in 1949, and he graduated from the University of Nebraska in 1953. He was a member of Tau Kappa Epsilon. 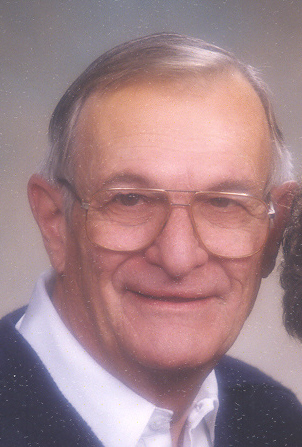 Jerry served in the United States Army during the years of 1953 â€“ 1955, with duty in Germany. He was married in Fremont at Trinity Lutheran Church to Marilyn Sokolovsky on July 7, 1957. He worked with his father at Hammang's Meats in Fremont from 1953 to 1965. Jerry served as the Nebraska Meat Processors President in 1962-1963. He then joined Griffith Laboratories of Chicago as a sales representative. In 1989 he was awarded the National Top Salesman of the Year award. He retired in 1995, and was currently employed part time by Ralston Advertising of Omaha. Jerry was a member of Salem Lutheran Church of Fremont. He was also a member of the American Legion Post 20 and VFW Post 854. And he was a member of Fremont Masonic Lodge No. 15 A.F. & A.M. the Scottish Rite of Omaha, Tangier Shrine Center of Omaha, and the Fremont Shrine Club. He was a member of the Fremont Golf Club, and he had been active in the Jaycees. He also was a volunteer for the Dodge County American Red Cross Blood Services. grandson â€“ Ashton Hemenway of Lincoln. Jerry was preceded in death by his parents, Leonard and Bessie, and brothers Eugene and Jerome. The funeral service will be 10:30 AM Tuesday (Dec. 18) at Salem Lutheran Church with Rev. Michael Thomas and Vicar Diana Kuhl officiating. The committal will follow in Memorial Cemetery with Military Honors by the Fremont Honor Guard (American Legion Post 20 & VFW Post 854). Memorials are suggested to Salem Lutheran Church, the Tangier Shrine Transportation Fund, and to the donor's choice. Visitation at the Ludvigsen Mortuary will be on Monday from 2 to 8 PM, with the family present from 6 to 8 PM. There will be a Masonic Service, open to the public, at 7:30 PM at the Ludvigsen Mortuary chapel.